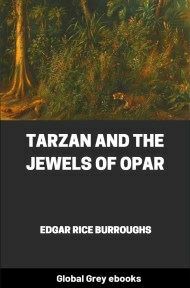 Tarzan and the Jewels of Opar is the fifth in his series of books about the title character Tarzan. 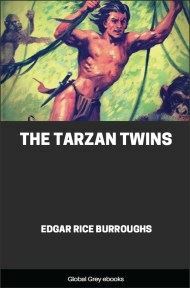 In this novel Tarzan returns to Opar, the source of the gold where a lost colony of fabled Atlantis is located. 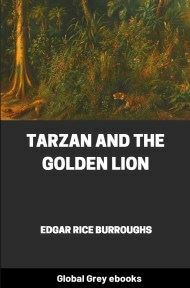 While Atlantis itself sank beneath the waves thousands of years ago, the workers of Opar continued to mine all of the gold and only Tarzan knows its secret location. Lieutenant Albert Werper had only the prestige of the name he had dishonored to thank for his narrow escape from being cashiered. 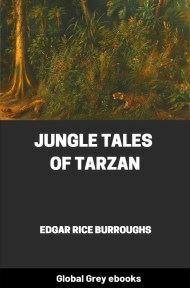 At first he had been humbly thankful, too, that they had sent him to this Godforsaken Congo post instead of court-martialing him, as he had so justly deserved; but now six months of the monotony, the frightful isolation and the loneliness had wrought a change. The young man brooded continually over his fate. His days were filled with morbid self-pity, which eventually engendered in his weak and vacillating mind a hatred for those who had sent him here—for the very men he had at first inwardly thanked for saving him from the ignominy of degradation. The captain, an expression of surprise upon his features, turned toward his junior. 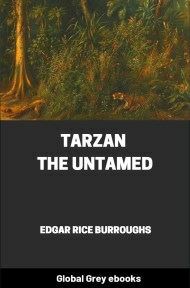 He had seen men before with the jungle madness upon them—the madness of solitude and unrestrained brooding, and perhaps a touch of fever. Werper had no desire to die. Never before had he so yearned for life as in this moment that he had so effectively forfeited his right to live. The men were nearing him. What was he to do? 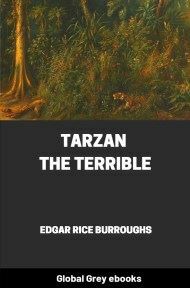 He glanced about as though searching for the tangible form of a legitimate excuse for his crime; but he could find only the body of the man he had so causelessly shot down. In despair, he turned and fled from the oncoming soldiery. Across the compound he ran, his revolver still clutched tightly in his hand. At the gates a sentry halted him. Werper did not pause to parley or to exert the influence of his commission—he merely raised his weapon and shot down the innocent black. 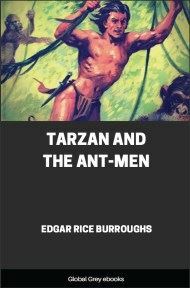 A moment later the fugitive had torn open the gates and vanished into the blackness of the jungle, but not before he had transferred the rifle and ammunition belts of the dead sentry to his own person.